Almost 5 years ago my family moved from NYC to Fairfield. Prior to the move I did my fair share of investigative research on the schools in Fairfield. Choosing a school was a tough choice to make because Fairfield schools are all outstanding! In the end we fell in love with Greenfield Hill and my son enrolled as a 5th grader at Burr Elementary. That same fall, Jason Bluestein was appointed the new principal at Burr. When a family starts looking to relocate they always ask that one, all-important question: How are the schools? It’s undeniable that schools bring so much value to a town and neighborhood. While the public education curriculum is pretty consistent across the district, individual schools develop their own “personality” through enrichment programs and PTA involvement. 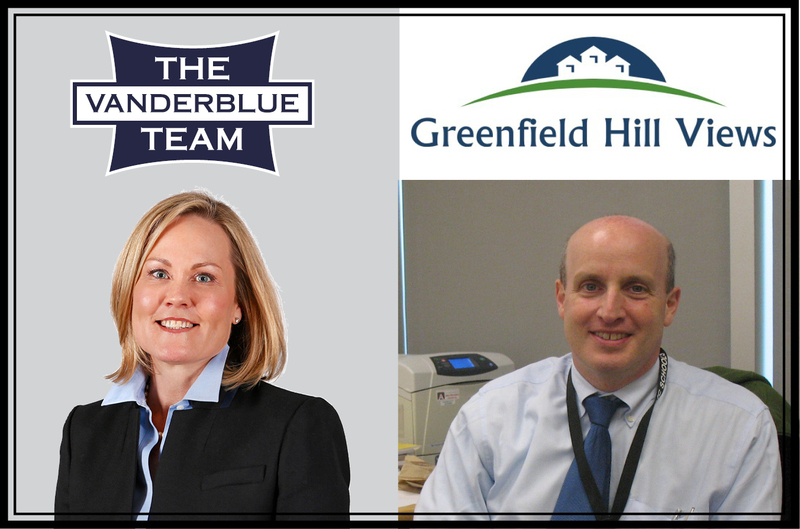 I recently had the pleasure of catching up with Jason Bluestein to talk about how Burr Elementary continues to draw families to Greenfield Hill and what they are doing to keep the learning environment stimulating. Any Burr parent will agree that the Burr staff is very connected to the families & children that they serve. Jason emphasizes to his staff that they are in a “service business” at the classroom level and as a result the children & families are well known and feel that connection. This emphasis on connecting starts with Jason as the Principal. He is not a principal that stays in his office. He is in the classrooms, on the playground, in the lunchroom & library interacting with the students. Jason also cultivates connections with the parents with his weekly newsletter, Parent Book Club and monthly Chat with the Principal. The Burr motto, “A School of Learner’s and Leaders” are not just words at Burr Elementary. The students are encouraged to think outside the box, stretch their creativity and play an active role in school each day. A Student Council and school store are two examples of student driven programs at Burr. Just image the learning that takes place in the School Store! Jason was very complimentary of the Burr PTA and their devotion to the school. Parents spend countless hours volunteering in the library, classrooms & throughout the school in so many ways. The Burr PTA generously budgets for annual gifts to the school. Some recent gifts have been touch screen computers, a document camera, refurbished seminar room and the Maker’s Space in the library…all bringing added value to learning at Burr. Like most schools in Fairfield, Burr Elementary has their own signature enrichment programs that bring together creativity and learning. First and second graders have enjoyed hands on time learning about gardening and sewing. Fourth graders have had the opportunity to learn about careers through parent led monthly Career Symposiums. Fifth graders have explored their interest through their Passion Projects. To further emphasize the importance of reading this year the “One Book-One School” selection was Poppy, Tales from Dimwood Forest, from the Newberry winning author Avi. Jason encouraged families to not only read together but to share their reflections as a family furthering that connection from school to home. Jason also spoke proudly about the school’s Maker Space, “Burr Elementary was the first Fairfield School to launch a Maker’s Space which integrates technology, science and creativity.” With STEM playing a more important role in our schools, Jason said that math has become more hands on and concept based. Also, the science curriculum is being revised to include more engineering and more integration of math and science. Science programs like High Touch, High Tech provides supplemental hands on learning in science. In addition, library projects generally integrate the use of technology with curriculum content. I was very impressed with the Art and Music programs at Burr when my son transitioned to Burr from a NYC public school. Every student enjoys a weekly Art class that integrates specific modalities, materials and projects that connect back to topics they are covering in other core classes. Student artworks are showcased in the Annual Art Show, which is quite amazing! While there’s a general Music curriculum across all grades once students enter 4h grade they can participate in Orchestra and in 5th grade chorus is offered for all students as well as Band. Each week students meet in smaller groups for band/orchestra lessons. There are many concert performances throughout the year that provide the students multiple opportunities to experience preforming for both parents and their peers. The final Spring Concert is always a much-anticipated event for Burr families! While the Spring Concert is a Burr family favorite there are many other events that have become tradition at Burr. The Student Talent Show brings out all the young aspiring vocalists, comedians, dancers, musicians and performers. Stem Night is big hit as well as the annual Halloween Spooktacular. The success of the Annual Father-Daughter Dance spurred the addition of a new tradition in 2017, the Mother-Son Dance. And the school year would not be complete without the End of Year Whole School Picnic and the much anticipated Field Day! The staff and families of Burr Elementary are devoted to the school and this is evident when you walk the halls of Burr, or attend any school wide events. The sense of community is as transparent as the glass walls that make up this incredible elementary school nestled in the woods in Greenfield Hill. There’s no doubt… Burr Elementary continues to bring value to Greenfield Hill. **Burr Elementary was selected by the Connecticut State Department of Education as a School of Distinction for 2015-2016.